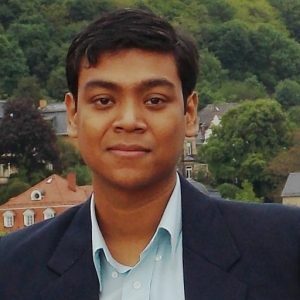 Around 6 years back when I was doing my master’s degree in the Economic History Department of the London School of Economics, many Professors stated or heavily implied that it was “the West’s” dependence on formal institutions which helped them to become developed nations while “the East” which relied on informal institutions lagged behind. But the Professors also added that since now we are witnessing the decline of the West and the rise of the East the jury is still out on whether formal or informal institutions are better for a country. But why am I talking about institutions while the title of the article mentions the protests against US President Donald Trump’s orders to stop inflow of refugees from a select group of Muslim countries? It is because I think these protests are too little too late. Let me explain. People in the US did not protest when they regularly saw people with brown skin being put under extra scrutiny in the airports. 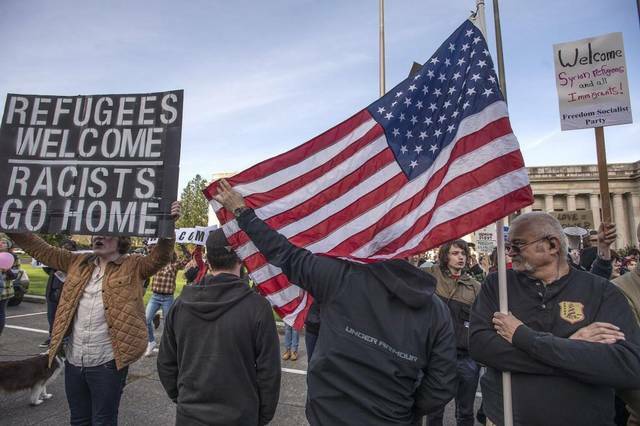 People in the US did not protest when Muslims totally unconnected to any form of terrorism like internationally renowned football stars or Bollywood actors were put in the no-fly lists. These things have been going on regularly for the last 2 decades at least. I don’t have many friends in facebook (surprise, surprise #sarcasm), but just amongst my around 230 friends in facebook there are two people, neither of them Muslims who were working in the US, came to India to visit their relatives and got stuck here thousands of miles away from their jobs, friends and family as the US embassies refused to give them their visas on some ad hoc reasons. One of them got stuck in India leaving his pregnant wife to fend for herself in the US (#familyvalues). There have been thousands of cases like this, every year all over the world in the last two decades. The American public knew about these incidents not only from the news but also when they saw their co-workers going to their home countries for a short visit but never returning back, but they did not do anything about it and choose to ignore the whole issue. But, now when the newly elected President of the US Donald Trump has put these discriminatory practices on a piece of paper and signed it, formally approving them, the people in the US have finally started protesting in large enough numbers. This is why I explained all those things about formal and informal institutions in the beginning of this essay. But it leads one to question the intention behind these protests. Is it for the good of the “other” or for themselves? As I have shown above these forms of discriminations have been going on for several years without any major challenge from the US public, so it is most certainly not for “the others”, in fact these protests are a result of collective shame. The American people and the people around of the world have been told repeatedly by the US Propaganda machine that the US is the protector and leader of Western Liberal Polity and many if not most people in the US believe this to be true. To see their supposed esteemed position in this hallowed podium being challenged so fundamentally has created this “Anti-Refugee” Ban protests. But as we have seen earlier in Europe, these protests which are based on very patronising opinions about refugees and lack of understanding about the problems they face are bound to neutralize these movements after sometime. This is because the protestors do not take into account that you do not always get nice and good people as refugees when they are fleeing from a devastating war or crippling poverty. Moreover, a lot of arguments about the refugees on the liberal side have to deal with how well some of them have already integrated into the American society without caring to consider that many refugees see this integration as a form of colonialism. Movie recommendation time- check out this movie from my favourite director on how war can take a terrible toll on the most “normal” people out there. Furthermore, in the past one year we have also learned from Europe that when pro- refugee activists ignore the things mentioned in the above paragraph the government can scare their supporters off with some very easy tricks like talking about job losses or dangers of terrorism or even demographic changes. The previous two US administrations under George Bush and Barack Obama have been gradually reducing the democratic rights of the US citizens under the pretext of “combating terrorism”- be it introducing detention without trial, cancelling habeas corpus, secret courts sentencing US citizens to death, mass surveillance or militarization of the police. While these systems were being put in place the governments not only did not face mass protests but majority seemed to support these moves. So finally now, this well-honed system of suppressing the populace has been handed over to the Trump administration and they are finally coming for “them” and there is not one left to speak out. As someone who is tangentially opposed to Donald Trump’s politics, I fully support many of the protests that are taking place against him like the recent “Women’s March”. But the current “Anti- Refugee Act” protestors and their supporters are doing something that has the potential to terribly hurt them in the long run, so I wanted to point it out here. Many people are comparing this Muslim refugee ban of Trump’s to the Jewish Holocaust of the Nazis. There is something seriously wrong with this analogy. The Jewish Holocaust had nothing to do with a refugee crisis- Jews were not refugees in Germany, in fact in the 1930s the Jews were the most integrated minority group in Germany. So, when you talk about refugees and Jews- there is a massive danger that you will fall into the traps set by Nazis and Zionists which maintained that Jews did not belong to Germany but to the Holy Land. 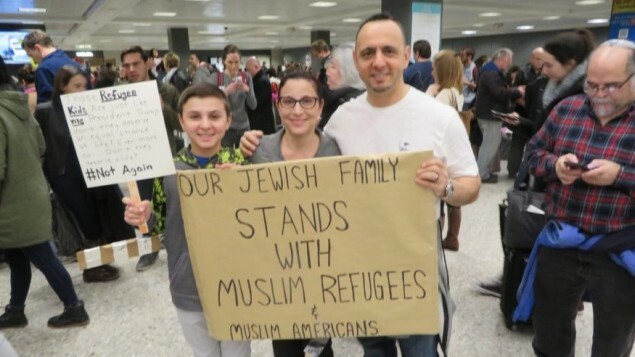 This comparison between Trump’s refugee ban and the Jewish holocaust might have even more serious consequences due to the presence of the Islamic State, a state which according to its proponents is for and of the Muslims and which is ruled by Islamic Law. Now we need to remember that till the 1940s Israel was only an idea but stills Jews faced with terrible cruelties in Europe and being turned back from countries like the US went to Palestine where they hoped to set up a state of and for Jews. Although, Israel has committed terrible cruelties against the Palestinians, it still became a militarily powerful state where modernity, democracy and science flourished. So my worry is this- if people keep constantly harping about the false equivalence between Jewish holocaust and Trump’s Muslim refugee ban we they will be turning more people towards the Islamic State, which already exists, continues to attract Muslims from all over the world and which thinks that 1000 year old laws can be applied to the present. The Western governments are already negotiating with the Taliban- which used to execute prisoners by cutting their heads off on live TV, do you really want another of their ilk on the negotiating table? No? Then take care of your analogies.